Tim Cohn is a marketing consultant, a recommended marketing resource for IBM Business Partners, Google Certified Partner, author of the Search Marketing Communications blog and the upcoming John Wiley and Sons book: For Sale By Google. Tim has written over 1,500 blog posts here on Search Marketing Communications and Timothy Cohn while also posting 40,000+ Tweets @TimCohn . Tim stopped blogging regularly in 2011 when he began publishing the Tim Cohn Digital Daily. Tim has booked 110,515 transactions (leads and sales) for his clients across several Google Adwords accounts over the last few years with Google pay per click advertising. To achieve the above results, Tim has generated 5,386,091 visitors, 972,045,102 ad impressions and spent $1,785,152.57 on Google Adwords. No Adwords account is too small or too large to manage. 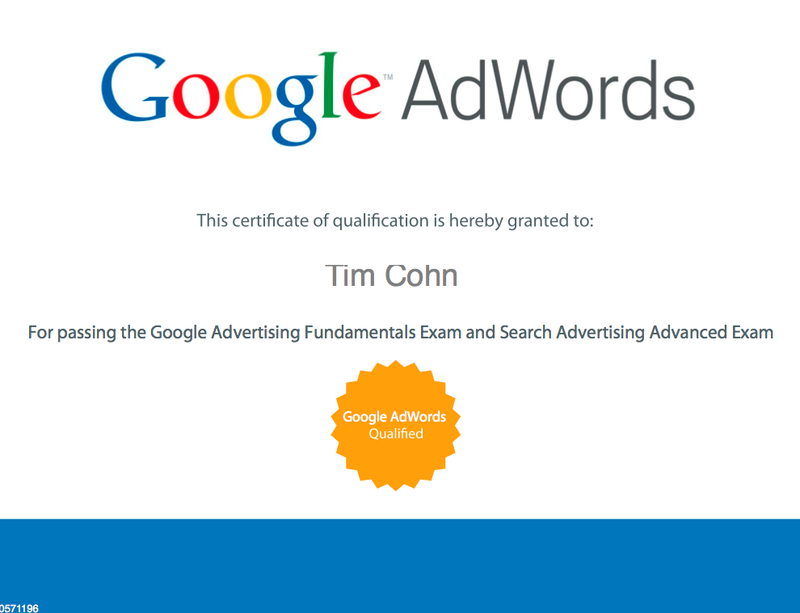 If you need your Google Adwords account optimized, Tim can help. 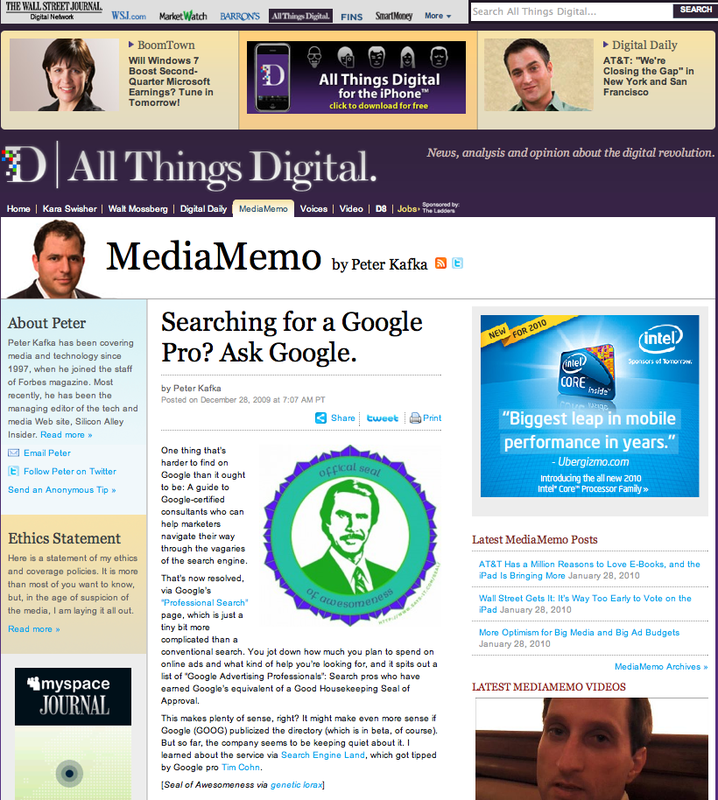 If you have questions about Google advertising or Google Adwords, you can search this site. There are over 1,110 pages here. One may have the answer to your search engine marketing or search engine advertising question. 1. The act or process of communicating with an audience upon their request through search engines. First book interview with Forbes. See For Sale By Google from space. Email Tim @ tcohn @ marketingprinciples.com or call 1-405-842-0163 for a free Adwords consultation..